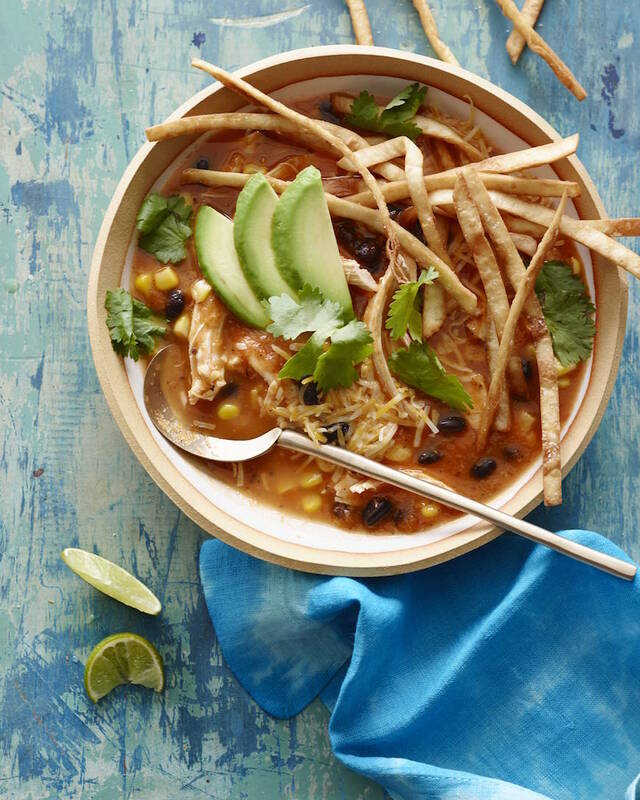 Sunday – Turkey Tortilla Soup Tonight! 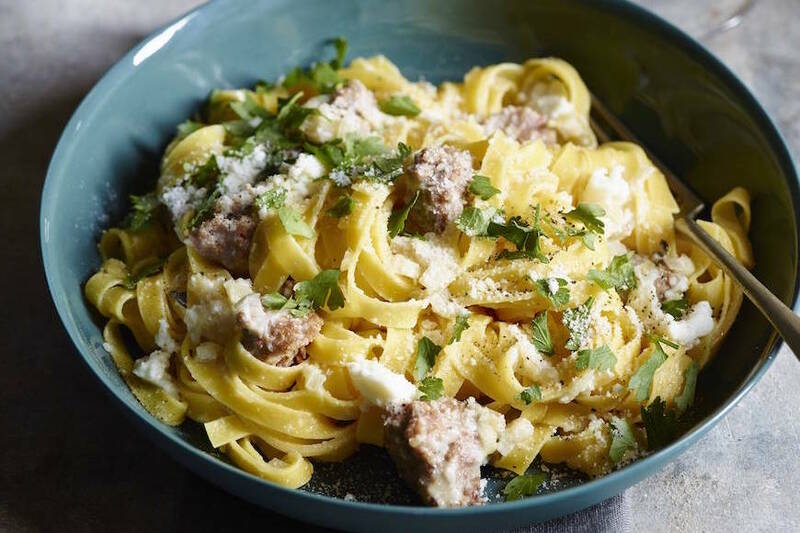 Everything you could want for dinner piled high in 1 bowl! Sub the turkey for chicken if that’s more your thing – and that’s exactly what I’ll be doing because I just bought a store bought rotisserie chicken from Whole Foods yesterday and it has this written all over it. Monday – you guys asked for it! 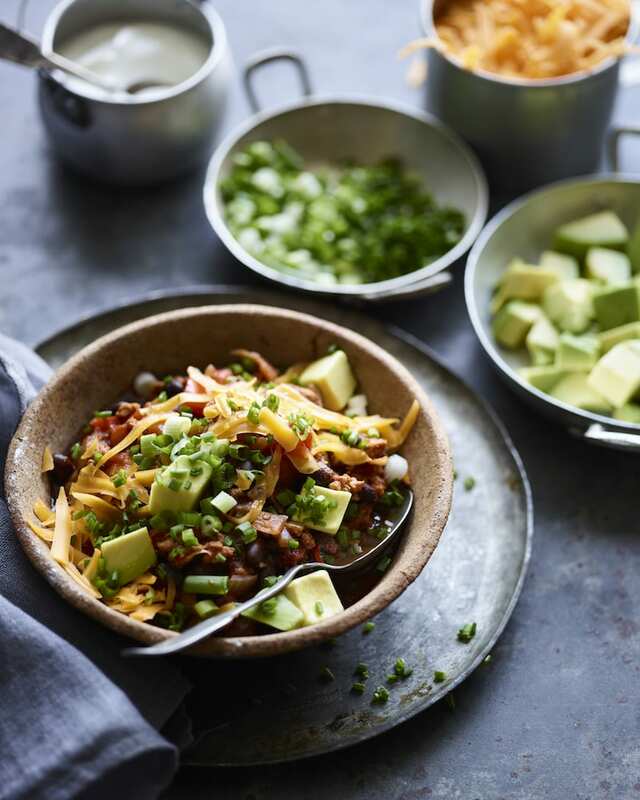 More dinners that can turn into lunches… Chipotle Chicken Chili with all the fixin’s! Plus it’s supposedly going to be cold Monday and I just want to eat this on the couch and watch TV and snuggle. Tuesday – It’s kinda like Taco Tuesday but more like Fajita Tuesday! 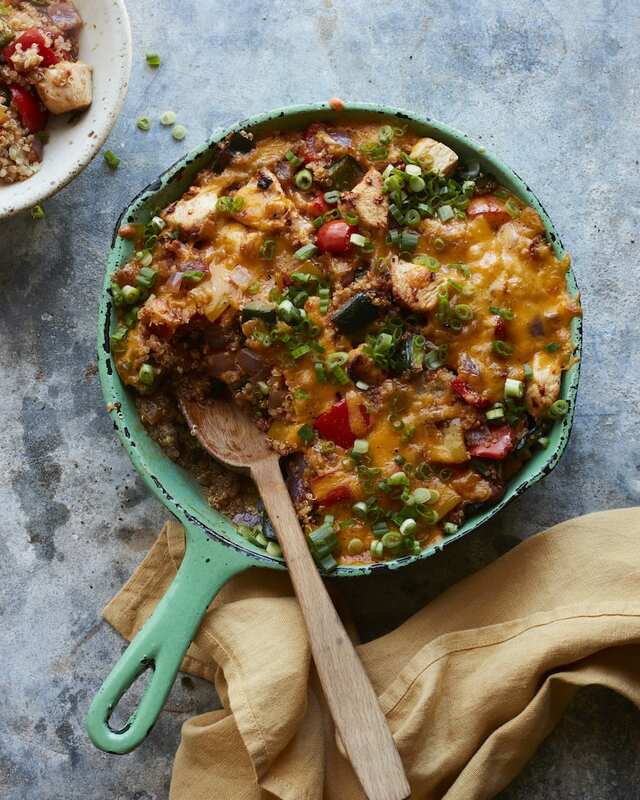 Chicken Fajitas Quinoa Bake is happening! 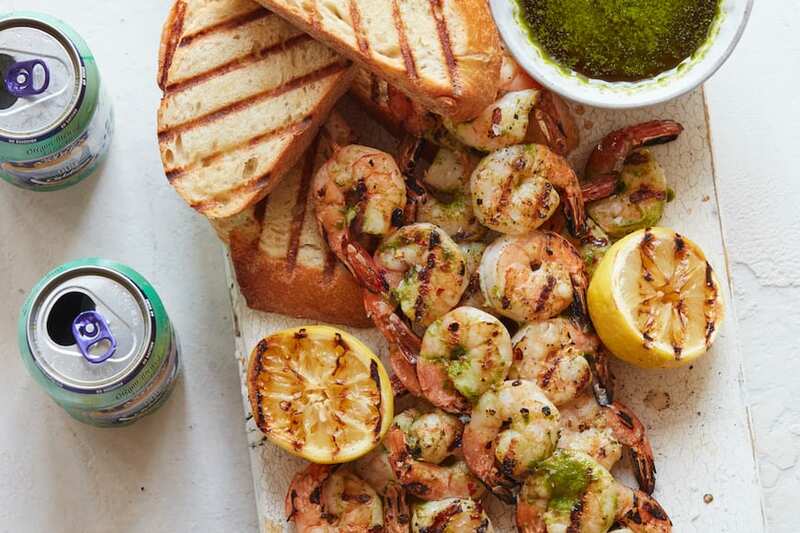 No side dishes needed! 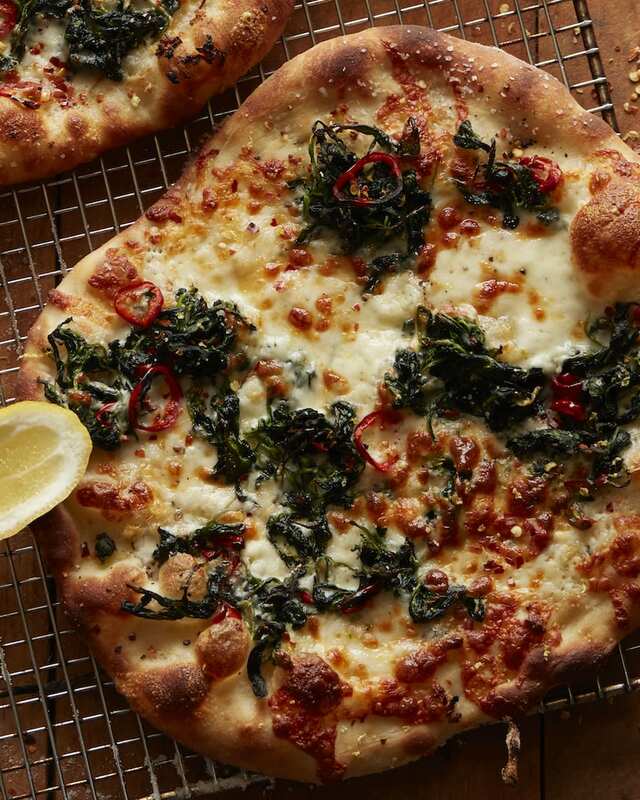 Wednesday – This weeks pizza night is all about this White Pizza with Spinach! OMG and the lemon on top – sends it over the top! Obvi making a loaded salad to go along with this! 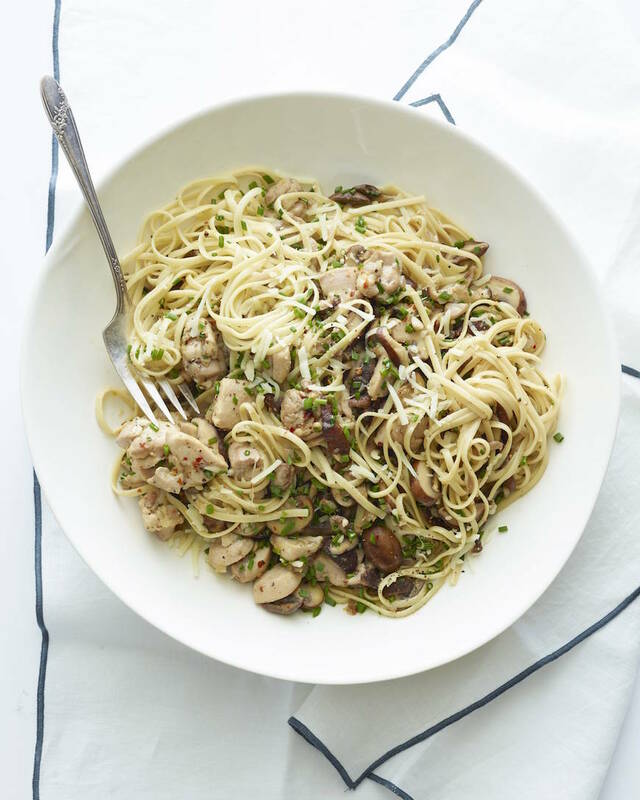 Thursday – Lemon Chicken Pasta with some lemony charred Brussels Sprouts because I haven’t been able to stop thinking about it since last time I made it! 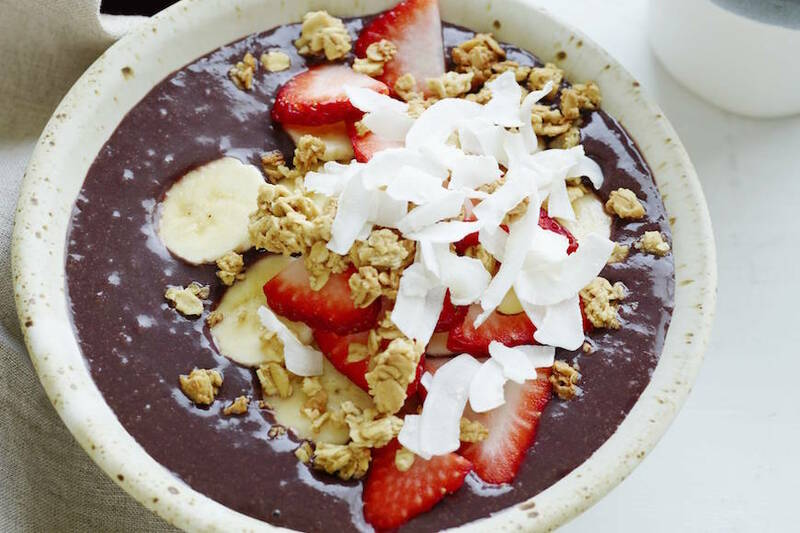 A little somethin somethin for breakfasts this week looks like a Coconut Acai Bowl! 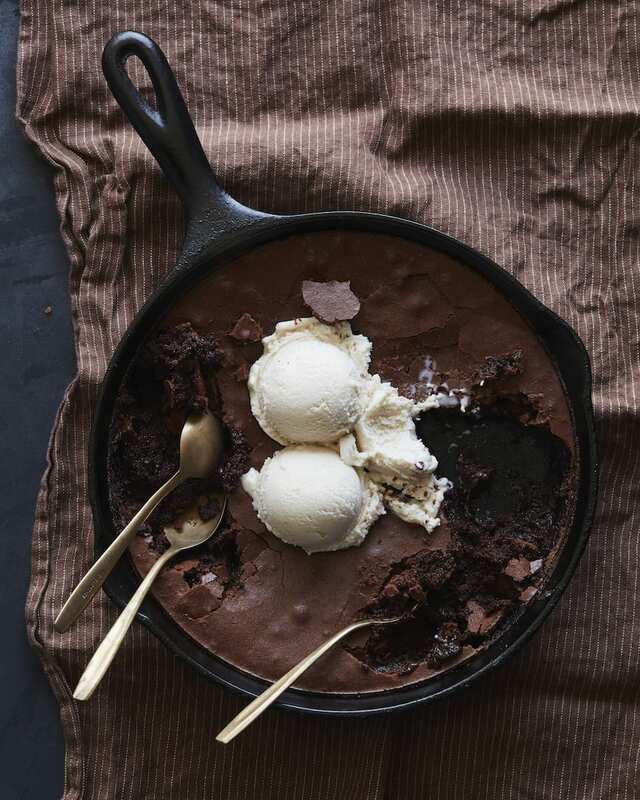 And a sweet treat to stock in the house… Chocolate Brownie Pudding which you can just make in a skillet and attack with a spoon when the mood strikes! Can’t wait to try the pea pesto pizza!! These all look amazing! 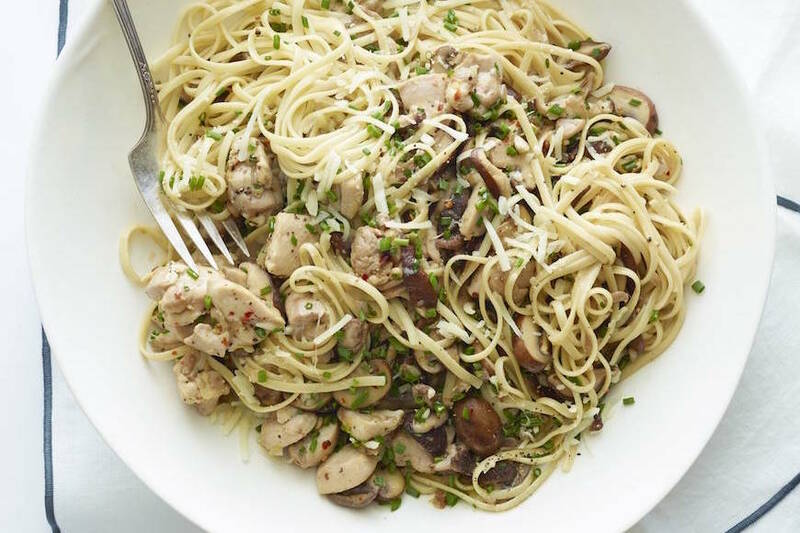 Love this week’s meal plan! Especially the part where it ends with brownies and marshmallows!!! The pea pesto pizza looks delicious! I just did tortilla soup and chili this week! It’s that time of year! A great week worth of meals as usual! I love reading your meal plans! so glad they are helpful!